We closed last year with a sunset at Kamehame Ridge on Oahu and then used a fireworks shot from the Big Island for New Years so it seems only fitting to move on to a sunrise. 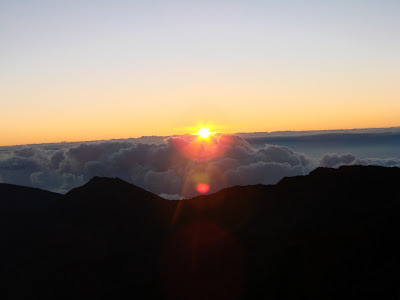 Here is a sunrise from Haleakala National Park, which happens to be one of the most famous places to view a sunrise. This is from one of my neighbor island adventures. If you get the opportunity be sure to check out the sunrise from Haleakala even though you may have to wake up in the middle of the night to make it there for sunrise. I hope the new year is off to a great start for all of you. Here we are on the Hawaii Super Ferry pulling away from Maui time to say Aloha to Maui until next time where hopefully we will chronoicle the famous road to Hana. I hope you have enjoyed the Maui series we will have also one final look at Molokai followed by Oahu by sea. Back from vacation… was that an exciting Superbowl or what? Always good to be back home though. 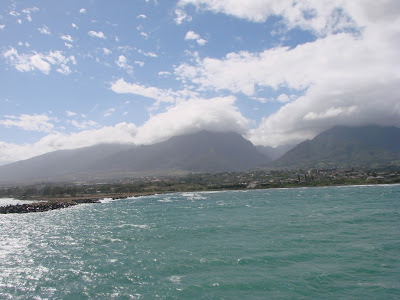 We conclude our Maui series and with a few pictures and some stunning shots of Oahu as we returned on our Super Ferry voyage. This shot is of one of the big cruise ships Pride of America as it docked on Maui. 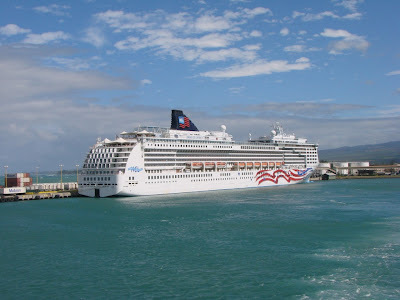 Pride of America cruises through the state docking on several islands to give tourists and locals alike a chance to experience multiple islands.